Privacy and cybersecurity attorney Dominique Shelton co-chairs the firm’s Ad Tech Privacy & Data Management group. She provides strategic privacy and cyber-preparedness compliance counseling, and defends, counsels and represents companies on privacy, global data security compliance, data breaches and investigations with an eye towards helping clients avoid litigation. A former litigator for 22 years, her compliance counseling includes defending companies under investigation by the Federal Trade Commission, attorneys general offices and other regulatory and government authorities. Through these actions and related litigations where she provides subject matter leadership, Dominique is able to advise companies on best practices in privacy, cybersecurity, data, mobile, cloud storage, Ad Tech privacy, Internet of Things, cyber preparedness and other areas of regulatory compliance. 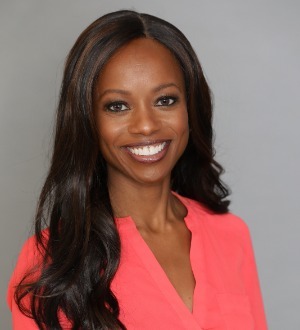 Recognized as a “Woman Leader in Tech Law” by The Recorder and as one of the most influential lawyers in digital media and e-commerce law by the Los Angeles Business Journal, Dominique has deep experience advising publicly traded and privately held companies in healthcare and med tech, media, entertainment, e-commerce, financial services and other industries. She leads companies in legal assessments of data security, cyber preparedness and compliance with such regulations as the California Confidentiality of Medical Information Act (CMIA), HIPAA, the Video Privacy Protection Act (VPPA), the Children’s Online Privacy Protection Act (COPPA) and the NIST Cybersecurity Framework. Dominique has significant experience leading investigations related to data and forensic breaches. She has steered investigations for a range of companies, including for national retailers, financial institutions, health and wellness enterprises, media companies and others.